DayZ creator Dean Hall knows when his zombie survival hit will make its retail debut, but the rest of us remain in the dark. 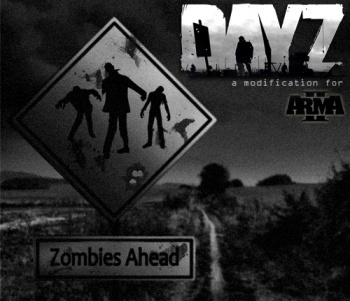 If you're waiting for the official, retail release of DayZ, you'll be waiting a bit longer. How long? We aren't exactly sure. I guess the big question that a lot of people have is when we're actually going to get [the retail version of DayZ] out. We've set a date now ... like a window of about a week. And we're not going to say when that is because originally we were going to release [the game's keys] in 50,000 key increments, but we've kind of decided to do everything kind of all together. We really want to focus on making sure the architecture is good, so that we can get feedback. In sum, Hall knows when DayZ should appear, but wants to ensure that the game is as polished and comprehensive as possible before it officially greets the public. Yes, DayZ has been available for months now, but that version of the game is technically a beta release and Hall has often stated that the retail incarnation of DayZ will feature more content and a number of design tweaks. This, combined with the en masse roll out, is why the game is currently not sitting on your hard drive in retail form. With Hall mentioning a release window (even a secretive one), we have to expect he's nearing a point where he may feel comfortable nailing down an official public date. We'll keep our eyes out for that info and bring it to you just as soon as it's available.